It was a Toyota trifecta taming the Monster Mile in second practice at Dover International Speedway on Saturday. Kyle Busch set the pace early in second practice with a lap of 157.839 mph. As drivers dialed in their cars searching for balance prior to the AAA 400 Drive for Autism, Busch battled a “free in” condition according to his spotter Tony Hirschman, but he felt the laps looked solid from his view on the roof. “This looks like race pace, race line, letting the car do the work,” Hirschman said. 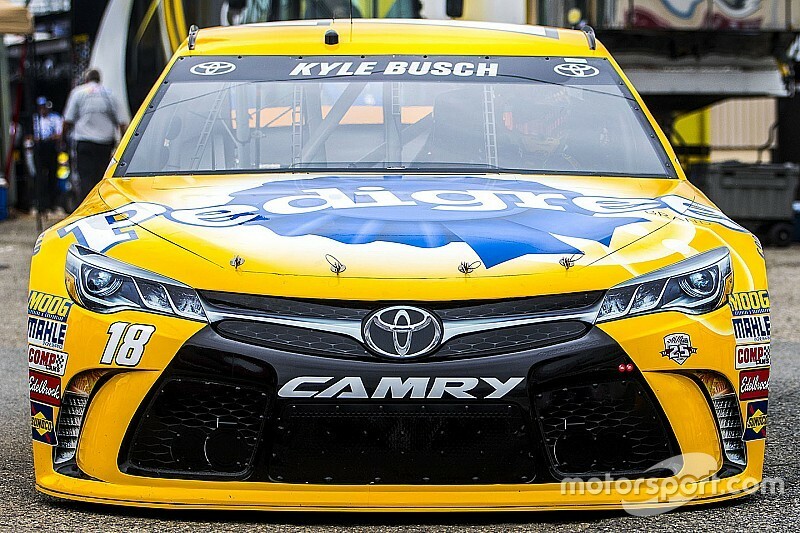 Busch’s Joe Gibbs Racing teammates Denny Hamlin (157.356 mph) and Carl Edwards (157.006 mph) ran second and third, respectively, followed by the Chevys of Ryan Newman (156.760 mph), Kurt Busch (156.590 mph) and Kyle Larson (156.576 mph). “We need more, but we don’t need a ton more,” crew chief Dave Rogers told his driver Edwards during his final run. Kurt Busch posted the Best 10 Consecutive Lap Average with a speed of 154.840 mph, followed by Ricky Stenhouse Jr. (154.656 mph), Kevin Harvick (154.588 mph), Kasey Kahne (154.489 mph) and Greg Biffle (154.393 mph). Larson, Kyle Busch, Hamlin, Chase Elliott and Chris Buescher rounded out the top 10 in that category. Local favorite Martin Truex Jr. was seventh in single lap runs with a speed of 156.542 mph. Truex is hoping to come back following a disappointing loss last week at Kansas when he led the most laps (172) but finished 14th. Elliott, who ran the most laps (55) was eighth quick (156.496 mph) followed by his Hendrick teammate Dale Earnhardt Jr. (156.488 mph) and Harvick (256.413 mph), who will share the front row with Junior on Sunday. Earnhardt, who completed 38 laps, never sounded comfortable with his car.